Various folks (including myself) were having problems this morning getting access. It was working around 4am but later it was not and now it seems things are back. Dan Robinson sent me a text and said he couldnt get on either. I have had no issues all day... knock on wood. I got an email back from Webiness - they have been having "There appears to be a random dns issue upstream that is causing some records not to be served. We are looking into the issue." Whoops! Wrong Dan. It was Sasquatch Dan texting me. LOL! just now from Dave again , after I told him it was working ... "Ok, thanks. Just tried: still no luck." Always wanted to say this: "I'm b-a-c-k..."
I don't know about the rest of you, but a day without a dose of NWBombers is just too trying on a person. Well, it seems the site is up and running and I want to give a special thanks to those who stepped in and kickstarted the site or who talked to those who could. It's very appreciated. It wasnt working from home when I tried it earlier today but it seems to be working at work. Working from home now... I had the dns servers on my desktop set to something weird... cleared that up and all is well in the world again. And here, I was blaming the crazy electrons again. Figured the negative electrons had won a battle or two and was doing a denial of service to a select few (me included). It may look a bit different in a few days. Strange, I can access the forum from my phone using a cellular data connection but not using my WiFi in the house. 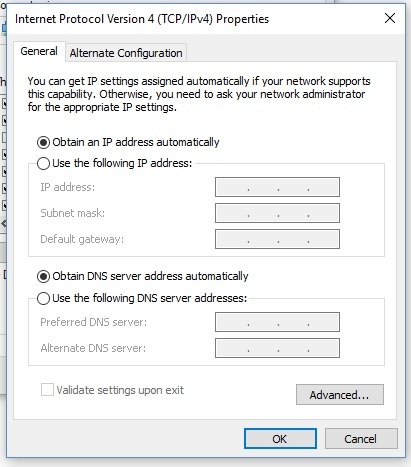 You may want to empty your caches and make sure the DNS server setting on your computer is set to "Obtain DNS automatically"
Shop and house are connected to the same fiber connection. Like you said Russ, I probably need to do something to the router. What sort of strange magic is happening here is beyond me lol.